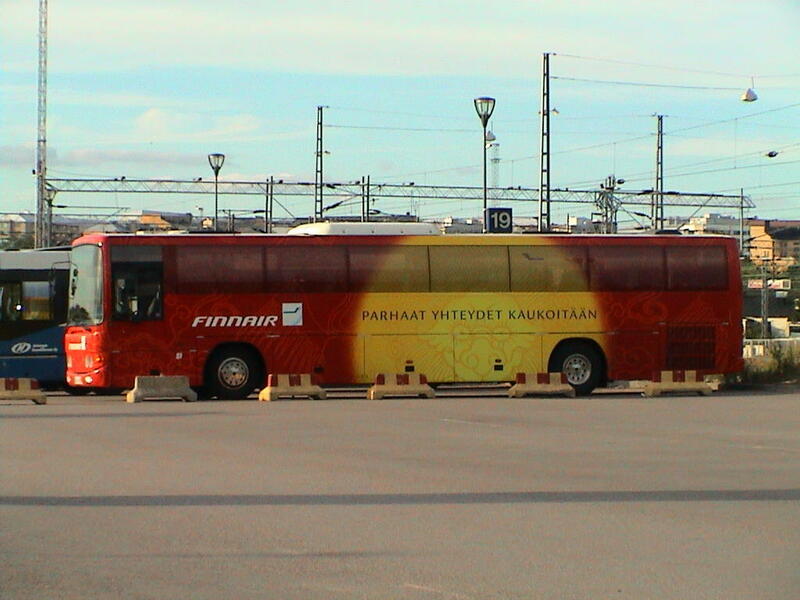 The public transport system in Finland is quite good. One has trains, buses, trams and the metro to commute. Finland or rather Helsinki is a tourist’s paradise in the sense of travelling around the place. Maps, public transport timetables and a whole lot of information is easily available in tourist information offices, railway stations etc. Maps with the details upto the house numbers are commonly available in most kiosks, information points, hotels, restaurants etc. Getting to a place provided you know the address, was never that simple before. To add to this, there’s a great Finnish website which takes the source and destination and tells you the mode of transport, where to get down, change the transport etc. according to any date and time. It also provides multiple ways in which you can reach that place at that point of time, subject to the transportation facilities available then. It also provides links to detailed maps of the source, destination and the change points. Along with this are the routes (drawn graphically in the map) and the timetable of the transport involved. This works for one major reason. Transport more or less follows a timetable. Comparing this with India, err..timetable? Does such a thing even exist in the first place? Only in schools. 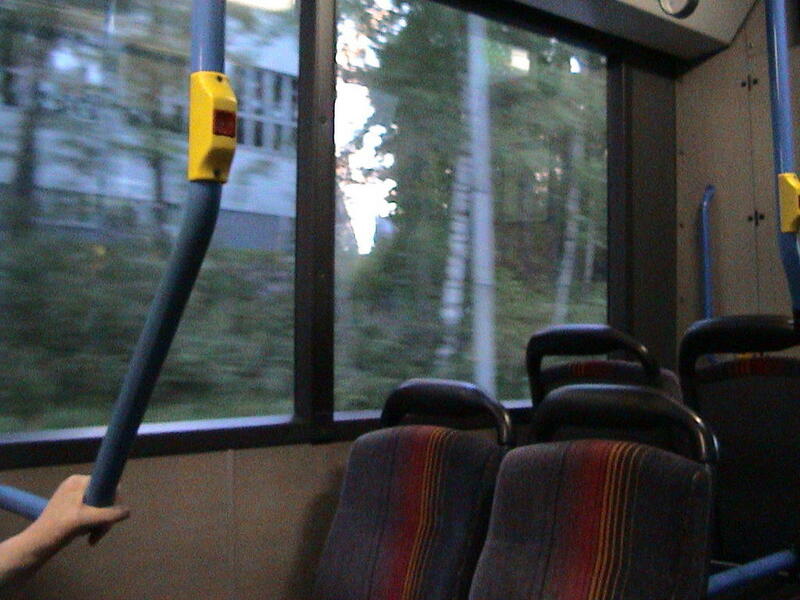 Buses here are sleek and big with pneumatic doors (like in Japan). Only a driver is there (no conductor to come asking for tickets – which is perhaps something that happens in the entire world except India). It’s one’s own responsibility to buy a ticket. Checking is rarely ever done. I never came across any ticket checking in Japan. But then that is because one has to swipe ones ticket/travel card through a terminal and only then would one be allowed. Anyone trying anything else, would face a hit from some baricades jutting out the moment you try to crossover. Mostly there’s a policeman stationed at these points too. In Finland, though there are terminals for swiping cards, there is no restriction to access. In other words, one can go anywhere, anytime and you can get caught only if manual checking is done. So far, with me checking has happened only once in a train in Helsinki. The only major difference between buses (and trams) in Finland and those in Japan is the way to indicate that you have to get down/get in. In Japan, one had to go and stand next to the driver, a substantial time before ones stop came, else he would not stop the bus (trams aren’t there in Japan). To get in, there was no particular ‘rule’. The bus stopped at the stop, and one got in if one had to. In Finland, there are buttons provided right next to each seat (in both buses and trams), so that if one wishes to get down, one may press the button in advance. To indicate that one wants to get in a bus/tram, one has to wave one’s hand properly (so that it’s visible) else the bus/tram wouldn’t stop! Experience is the best teacher, but its fees is very high. All desis are so unused to this waving-for-a-bus-thing, that they have had to learn by experience. Everyone of us has had instances where we waited half an hour for a bus, it came, it saw and it went on without stopping simply because we forgot to flag it down! If one is not *at* the bus/tram stop (which is clearly marked) when the bus/tram comes, there’s no use running, shouting, waving or any other thing to make it stop. Once the pneumatic doors close, they are harder than Alladin’s caves to re-open. The driver (usually wearing a Mogambo-esque expression and goggles) will not even acknowledge your mere presence and will move on. The roads in Finland (and probably the rest of europe) are great. They are smooth and well tarred and of course, things like potholes don’t exist in the dictionary of the roads here. Not only that, they dont even have speed breakers. They have speed limits marked on signboards and each and every person respects them. The thing closest to a spee d breaker is at times a section of the road, more like a zebra crossing (it’s that wide) and hardly elevated from the road. I call it a speed breaker because vehicles do slow down when they come to that rare thing, but it’s nothing like the ^ shaped speed breakers we have in India, which not only break your speed, but also your head, neck, back, vehicle and everything possible. Pedestrians and cyclists have separate roads for them which are actually the footpaths which are well tarred out of which half a clearly demarcated section is for pedestrians and half for cyclists. In Japan also cyclists used the pavements but there were no demarcations. One of the secrets for smooth roads is that these ppl pull out the old stuff and then put on fresh tar. The level of the road doesnt change. In India, the elevation of the road changes (mostly increases) with the years it sees in its life. The potholes get left behind unfortunately. Somehow I noticed something lacking on the roads, when I got here. After a couple of days, I realised it was the absence of motorbikes! Finally after the first week I saw one. They are rare, quite rare. But the ones that do get seen also make sure they get heard. They appear to be almost as fast as the bike used in the sci-fi TV serial StreetHawk. Rather than other modes of transport, most ppl use bicycles to commute. But a lot of bicycles here have no brakes! Neither do they have stands. To stop a bicycle, you are supposed to reverse pedal or at least stop peddling and it would stop. They also have tubeless tyres, which means you need to apply more force and pedal continuously for any movement. Thankfully there are some bicycles which are ‘normal’. Personal cars are quite expensive and so are cabs (like Japan). The place is scenic and beautiful. At least in the summers, the weather is great. All is perfect for a good ride and a good exercise. But nothing can beat the best way to see a place – peripatetic. 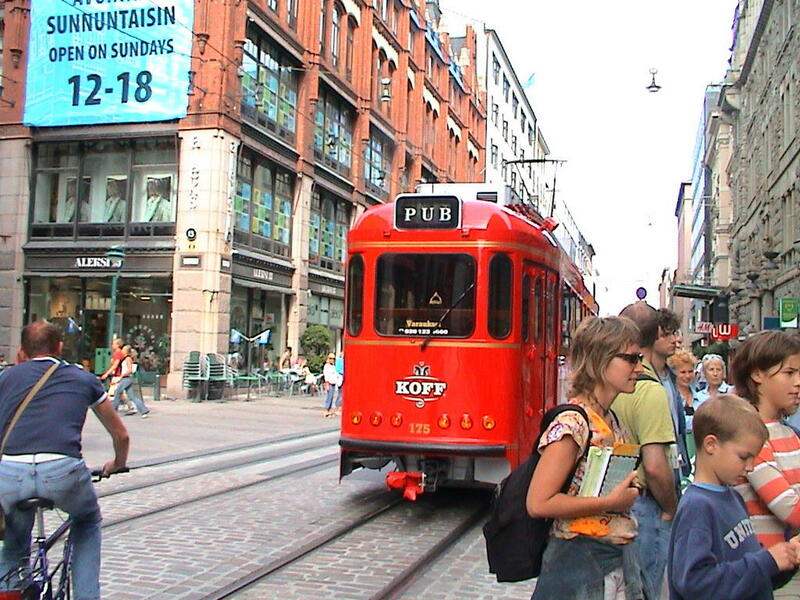 * – the tram in the picture is a special one. It’s a pub inside a tram and of course you need to buy a drink to get onto it. The public transport tram is just different in colour.